In the first video we've embedded directly below these opening paragraphs we see what looks almost like a ravenous pack of piranha, descending upon their next meal, as if their next meal might be their last. And while the video only shows Black Friday shoppers attempting to nab the latest HD TV's (which will then be used to spy upon the purchasers ), imagine if what these people were attempting to get was food, and particularly, what just might be their last meal. And while the video starts out quite orderly as Wal Mart shoppers are allowed into the store after waiting outside for who knows how long, it takes less than 1 minute for things to go straight to hell. Now imagine if it were the last bits of food they were fighting over. 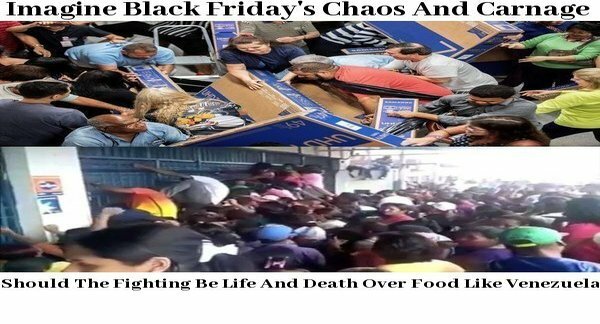 While this new story over at Zero Hedge reported that "the frenzy of black Friday as we once knew it is now over", with traffic slumping at stores all across America hinting at potentially massive bankruptcies ahead in 2019, 'preppers' can learn a lot by watching how others behave during such times while realizing that if these fights were over food, they'd absolutely be of a life or death nature. And we'll also take a look below at a must-read new story from the Sacramento Bee that the Drudge Report linked to on Saturday titled "Generators, Coors and Canned Food. How These 'Mountain Boys' Are Surviving In Paradise" which proves that indeed, during the very worst possible conditions such as the horrific fires in California, those who prepare can make it to the other side. As the Mirror reports within this new story, 'Black Friday chaos' arrived not only in America but elsewhere across the planet with shocking scenes such as below emerging in places such as Brazil, Spain, Greece and even South Africa as shoppers scrambled for bargains. Yet their madness gives us a brief peek at what might happen in America should suddenly and without much prior warning, SHTF in America. And for anyone who thinks that SHTF will never happen in America, simply take a look at what has happened to once 'socialist gem' Venezuela over the past several years, where some Venezuelans are hunting down pets and zoo animals for their next meals. 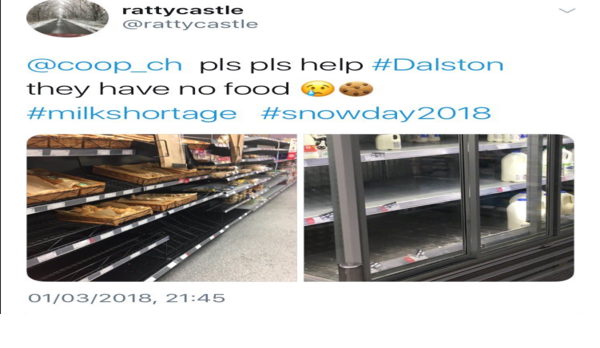 And while America isn't a socialist nation, all we need to do is look back at what traditionally happens in America every winter when one blizzard or another hits the cities and suburbs, food is cleaned out of the stores within a day. Almost exactly one year ago, the threat of a blizzard in New England and the mid-Atlantic region turned shoppers into panicking hoarders, scooping up every last loaf of bread from supermarkets and causing a much-mocked shortage of kale in New York City grocery stores. And almost exactly a year before that, supermarkets cashed in thanks to the terrifying-sounding polar vortex, which brought snow and frigid temperatures to a big chunk of the country, and which naturally coincided with epic crowds hitting grocery stores in preparation for the apocalypse. Now, with a storm described as “potentially paralyzing” and “perhaps crippling” by the National Weather Service primed to hit the mid-Atlantic region this weekend, shoppers are staying true to form. Stores in Arlington, Va., reported long lines and high demand for bread, milk, beer, and toilet paper. In Cherry Hill, N.J., outside of Philadelphia, supermarkets struggled to replenish shelves with bread, bagels, milk, and eggs before the latest round of shoppers grabbed them. This all took place on Wednesday, mind you, and the snow isn’t supposed to start falling in Washington, D.C., until Friday afternoon. In other words, supermarkets from the Southeast to southern New England will benefit from at least another full day of jittery shoppers stocking up on supplies in anticipation of the weather. Understandably, rock salt, shovels, and snowblowers are hot sellers alongside groceries. And while the Time story then went on to report there's nothing wrong with being prepared but 'blizzard shoppers' seemingly go overboard, and "especially in light of the many previous times when we battled supermarket crowds and filled up shopping carts only to see storms fizzle out and fall far short of their predicted impact", that story neglects to say that those who 'prepare' never have to make those last minute shopping trips to battle the maddening crowds for the last few gallons of milk or loaves of bread. What we need to remember is that like it or not, believe it or not, food prices are going up. Start investing in food. Start creating your ark. Genesis 6:21-22 And take thou unto thee of all food that is eaten, and thou shalt gather it to thee; and it shall be for food for thee, and for them. 22 Thus did Noah; according to all that God commanded him, so did he. We need to learn from scripture. God did not drop an ark out of the sky for Noah, he had to build it. God will not drop an ark out of the sky for us, we too have to build it. I have been warning about this for some time now and you must admit that you see it also. The cash register doesn’t lie. Do something and take action. Don’t allow “the wait and see” mentality to overcome you. If one continues to “wait and see” then they will pay a higher price in many ways than just at the cash register. As Infowars reported in this new story "Black Friday: The Best Of The Worst", the cult shopping frenzy surrounding 'Black Friday' is now a global event with some of the worst displays of humanity captured on video for all to see as seen in the videos below, all in the name of consumers saving a few bucks. And as many of us have noticed, this overcommercialized and stretched out retail season now lingers on from October. Yet with scuffles and fights breaking out and at least one horrific shooting, is it really worth all of the time and trouble for those who actually sleep out overnight in the parking lots of these stores, waiting in line with hundreds or even thousands of other people, just to save a few dollars more? Perfectly illustrating the over-commercialization of Christmas, a holiday that originally celebrated the birth of Jesus now shows us what is wrong within our society which celebrates consumerism and religion for many has been thrown out the window. Having never been 'black Friday' shoppers, and prefering to stay as far away from the 'crazies' as possible this time of year, we instead watched the hilarity as seen in the videos below and many others making their way across the internet as a gentle reminder of what's to come when the globalists finally carry out their 'end game' or a catastrophic event strike our country that shuts down our 'just in time' system. Why do so many people lose control when attempting to buy such material things? While everybody else goes nuts over flat screen TV's that will be worth absolutely NOTHING should our power grid be taken down via cyber attack, a Carrington-like solar flare event or EMP, we're absolutely astounded by what the 'mountain boys' of California did so we'll close with a look at how prepping saved the lives and homes of some in California. Also proving that 'prepping communities' can save the day, HUGE hats off to the 'mountain boys' and the 'redneck underground' we read about from the Sacramento Bee. Brad Weldon has lived in Paradise his entire life, and wasn’t about to leave his home or his blind, 90-year-old mother behind when the Camp Fire hit. And he’s not going to leave now that the fire is gone, though not much is left of the town he remembers. 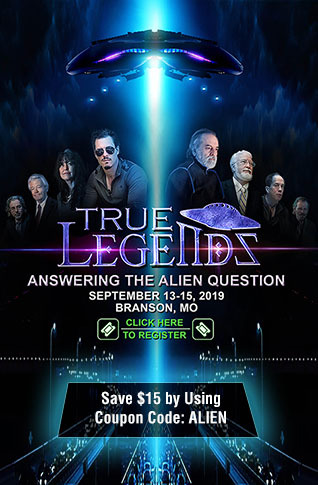 The only company Weldon and McAfee have received arrived Saturday afternoon when more than two dozen heavily armed police officers suddenly surrounded the home. A few hundred feet away, President Donald Trump was assessing the damage of the Skyway Villa Mobile Home Park. Weldon said he has plenty of food to stay as long as he wants. The underground volunteer group brought him 25 pounds of tri-tip steak, 10 pounds of chicken, rice, beans and vegetables.